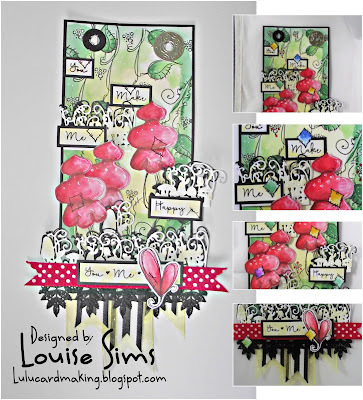 Love to Create Challenge Blog...sponsored by Polkadoodles: Challenge 1 Anything Creative/Mixed Media Goes! 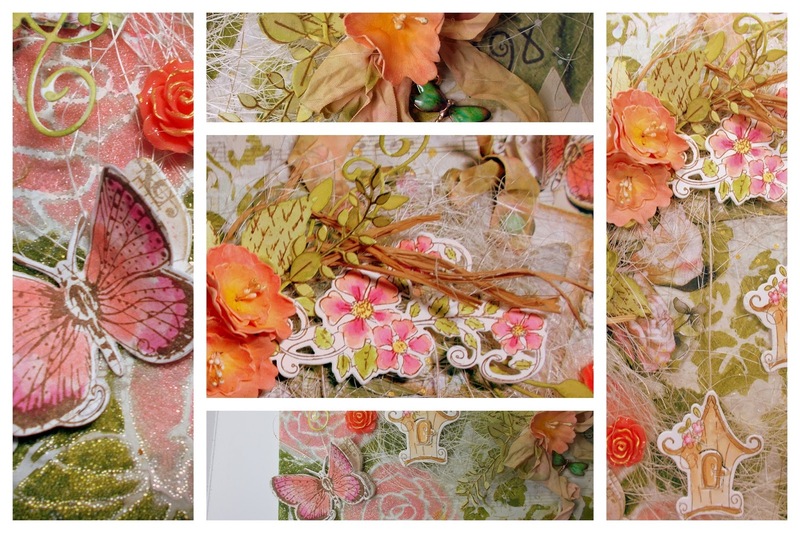 We're all about Mixed Media - come and join our fabulous challenge! Challenge 1 Anything Creative/Mixed Media Goes! Good morning and a big warm welcome to our new challenge, our very first challenge sponsored by the fabulous Polkadoodles!! The challenge will run monthly (think one runs til the end of October) so you've got plenty of time to play along and you can use any products to enter! 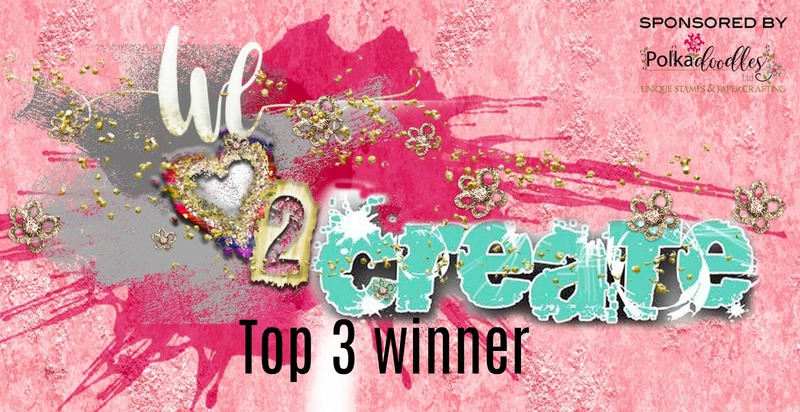 There are a few more exciting changes too as we'll be having monthly tutorials from the DT, some awesome Guest Designers and best of all ...... amazing prizes!!! 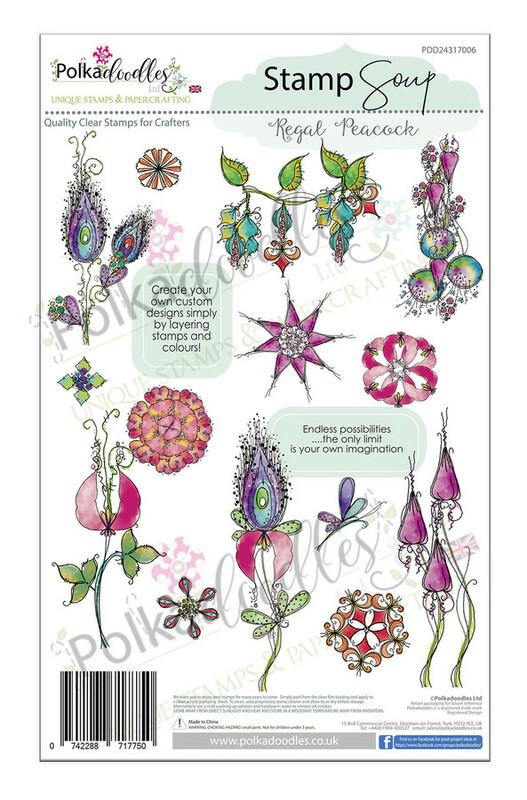 We often think about supercute images and gorgeous digital downloads when we think of Polkadoodles but the lovely Nikky Hall has a lot more up her sleeve that that. 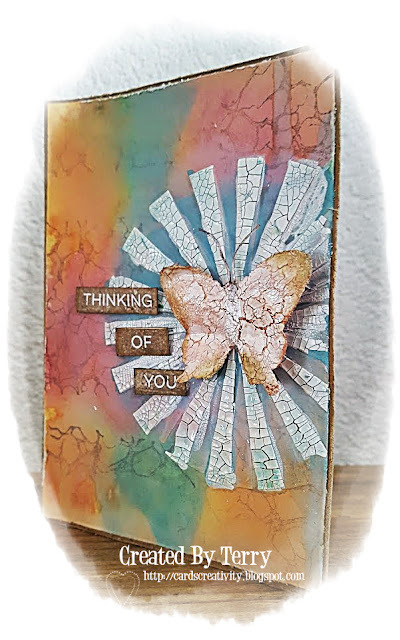 Have you seen the beautiful range of stamps, dies and papers that you can find at Polkadoodles??? 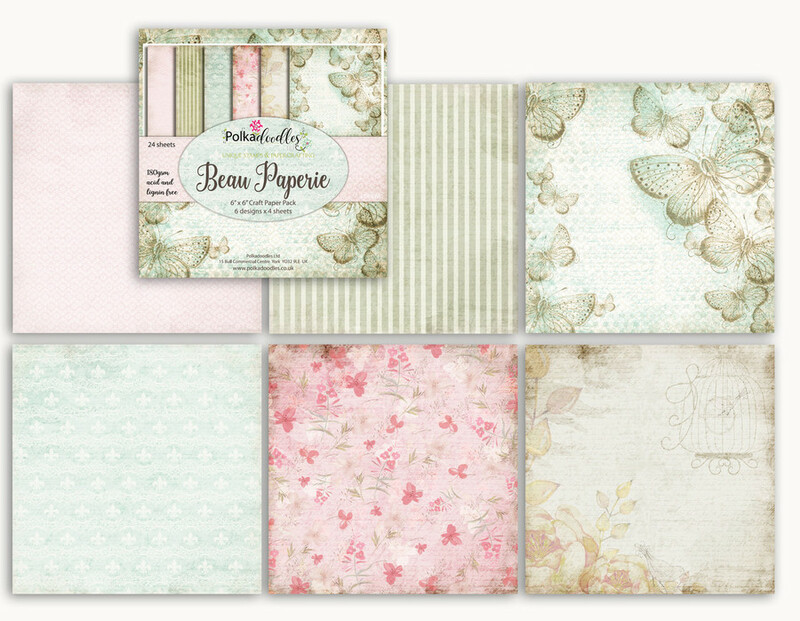 a big A5 clear stamp set and a 6x6" paper pad - both stunning and worth approx £23/$30! Gemma - Wow so we have some exciting new changes happening here and I hope you will all continue with us on this mixed media journey. I have a piece to share with you all today that I created on canvas board using beautiful papers and embellishments from the Polkadoodles Belle Papillion downloadables. More details can be found on my blog, but I glued the papers in place with gel mediums and added texture and colour with beaded gel and Gelatos. Lou: I've used the Royal Peacock stamps, loose water colouring techniques and the yummy Toadstool border die to create my wall handing. More details and photos can be found on my blog. and the week after we'll be welcoming our very first Guest Designer!! 3. The main prize must be claimed within 10 days or it will be offered to a random winner from the Top 3 from the same week. 4. You MUST be a follower of this blog to enter. The challenge will run until 30th October and the winner and top 3 will be announced on Sunday 26th November 2017!! Add your link below to be in with a chance of being our lucky winner or Top 3 honours. Sounds good... Plenty of time to enter too so I should be able to play! 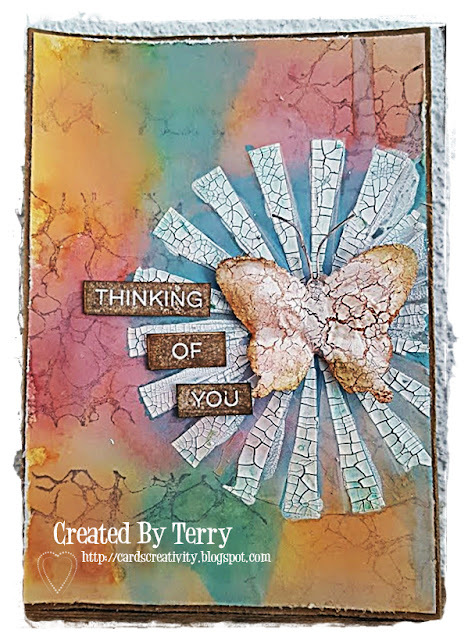 Lovely Mixed media makes from Terry and Gemma. Gorgeous card by Terry, thanks for the inspiration! Fabulous to have Polkadoodles as your new sponsor! Your DT inspiration and the sneak peek from Claire look fabulous, so I know their products must be great! Unfortunately, the photo of the prize would not load nor their website. I think it may be my computer which seems to be having issues today. Playing along, as always; really missed your challenge! Thank your for the challenge. Lovely work by the design team. Such gorgeous creations! Followed and glad to find you! Thanks for the fun challenge! Loving the new look and wonderful creations by the DT! Congrats on your new challenges. I look forward to playing with you all and your fab DT! We love to hear your feedback so please feel free to leave the team a comment below - we love reading them! Challenge 16 Winners and a little clue!! 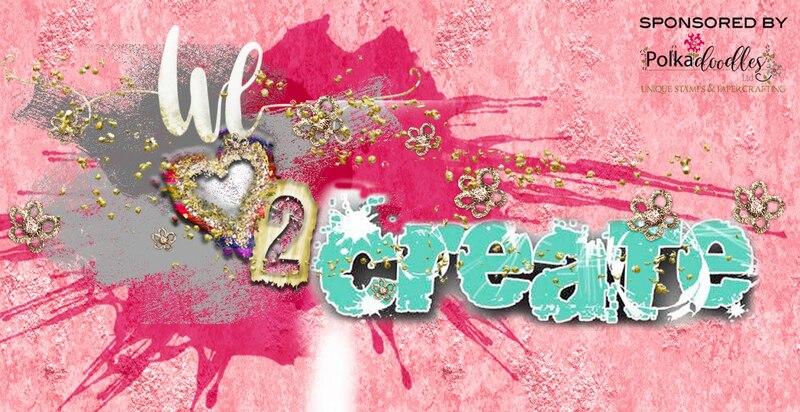 All Copyright & images on this blog belong to PanPastel® UK/Premium Craft Brands...... Awesome Inc. theme. Theme images by GelatoPlus. Powered by Blogger.